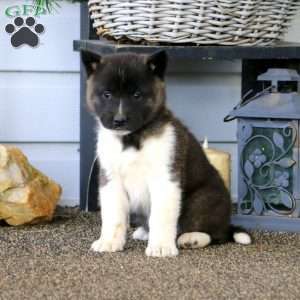 The Akita is a working breed that originated in Japan. They were bred to be strong and dedicated to both protect royalty and also to hunt large game. They have a protective nature, especially when it comes to children. They are fiercely loyal, fearless, and are very alert watchdogs that will generally alert you by barking. Known as “The Gamekeeper’s Night Dog”, the Bullmastiff originated in the United Kingdom. During the mid- to late 19th century, they were used to protect aristocratic lands from poachers. They were bred to be swift, big, and brave. The Bullmastiff gained full breed recognition from the AKC in 1933 as part of the Working Group. They are gentle and affectionate at home with a protective nature and a fearless attitude when at work. The Doberman Pinscher originated in Germany around 1900. They were originally bred to be a watchdog and a protection breed. They have maintained their protective nature and alertness while also becoming a great family pet. They are still one of the most powerful and protective dog breeds, but they share a close bond with their family and are very affectionate towards them. The English Mastiff was originally bred to protect property and to guard herds and flocks. Although its ancient ancestor was a giant war dog, the English Mastiff is a gentle giant with a protective nature. They are friendly, loyal, and affectionate to friends and family while maintaining an alert and fearless nature when working as a watchdog and protector. As a giant dog breed that can top the scales upwards of 250 pounds, the English Mastiff makes a great guard dog. German Shepherds are one of the quintessential working dogs. 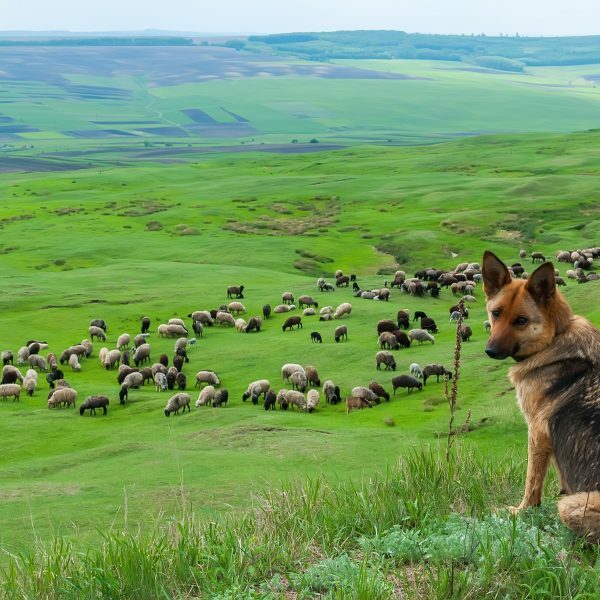 Although they were originally bred to be used as herders and to guard flocks, they are often found working as service animals or serving as police, military, or search-and-rescue dogs. Due to their background and hardworking nature, they also still make great farm dogs! GSDs are highly intelligent and alert with an instinct to guard and protect, which makes them a great watchdog and guard dog. They are also playful, loving, and loyal to their families, which makes them a great family pet. The Giant Schnauzer originated in the Bavarian Alps around the mid-1800s. They were bred to be rugged working dogs that could drive cattle to the market. Additionally, they were used as guard dogs by farmers, innkeepers, and merchants. Their instinct to guard and protect serves them well when they are working as police and military dogs. They are courageous, alert, and powerful when on the job and are deeply loyal, playful, and affectionate to their family. These traits, plus their imposing figure, makes the Giant Schnauzer a good guard dog. The Rottweiler can be traced back to the Roman Empire where its ancestors were used to drive cattle and guard herds and flocks against predators. Known for its power and loyalty, the Rottweiler’s instinct to guard and protect makes them good police, military, and security dogs. They are sweet-natured, friendly, and affectionate with their family and are an alert watchdog and protector. These traits make them both a great family pet and a good guard dog. It’s easy to get distracted by adorable puppies and sometimes forget that they grow into large, powerful dogs. So, it’s important to do the research and think honestly about what you can handle in a dog and what breed is likely to be the best fit for your lifestyle. All puppies require training and socialization to grow into well-rounded dogs and you want to make sure you can provide that for them. With these dog breeds, you will gain both a wonderful, loving companion and an alert, protective guard dog.